There’s no surprise that UNC basketball fans are different from typical fans. We truly believe that we wear “the better blue.” From our long tradition of successful seasons to the iconic argyle on the uniforms, basketball is an integral part of the culture around here. Not to mention, we are truly proud that one of the all-time basketball greats, Michael Jordan, once wore Carolina blue. In other words, Carolina basketball is kind of a big deal in Chapel Hill and Orange County. There’s a buzz of excitement around our area since we’re in the midst of the season. The games draw Tar Heel fans from near and far, along with the fans of other major contenders in the Atlantic Coast Conference (ACC). Whether you’re traveling here to cheer on the Tar Heels or root for your own team, you’re probably wondering what to do when you’re not at the game. Stay for a long weekend or turn this trip into a full-blown getaway. Don’t worry, we have the things you must do while you’re in town. You need fuel for all the exploring you’ll do while you’re here, so why not make a day of it? Go on a food tour that will delight your taste buds and ignite your passion for local food. Taste Carolina offers walking tours on weekends through Chapel Hill/Carrboro and Hillsborough. Try samples from area favorites and interact with the great minds behind the dishes by getting to chat with chefs while on tour. How do you wash down all of that great food? With a local craft beer, of course. One of the most popular choices is Top of the Hill Restaurant & Brewery. TOPO should be the paradigm for all other college town bars. 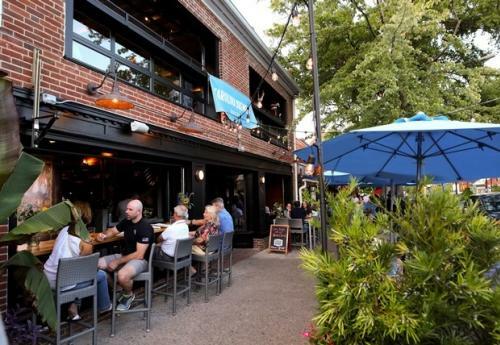 It has delicious food, weekly drink specials and plenty of screens to watch a game if you don’t make it into the “Dean Dome.” The fact that you might spot Michael Jordan there from time to time is reason enough to stop by. Carolina Brewery is another Franklin Street staple with tons of options for freshly-brewed beer. If you’re grabbing a pint here right before a game, take their complimentary Sky Blue Express bus that runs back and forth to the basketball arena until half time. If beer isn’t your style, you can grab a glass of wine at the Hillsborough Wine Station. This welcoming shop on South Churton Street has selections from all over the world that you can peruse, and even better, sample on the spot. The Wine Station allows you to taste wines in the amount that you please anytime the store is open. Cheers! Be entertained by theatrical, comedic or musical shows in various venues around Orange County. 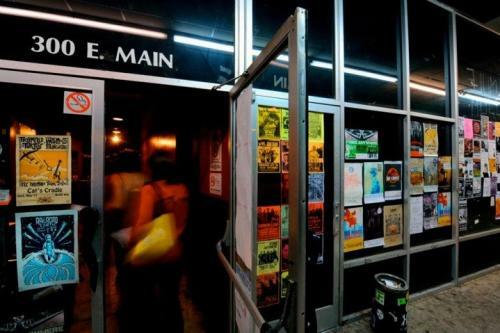 The ArtsCenter in Carrboro is a multifaceted venue that has a jam-packed schedule of music performances of all genres or comedy and improv shows. Their long list of shows has a balance of options that appeal more to adults or are best for the whole family. Check out some of our best music venues—Cat’s Cradle, Local 506, The Cave, The Station, Nightlight and Hot Tin Roof—for touring acts or local favorites. You’ll already be on campus for the game, so why not experience the rest of the nation’s oldest public university? Follow these steps and you won’t need to sign up with a tour guide for this excursion. If you’ve ever seen any imagery of campus, then you must be familiar with the unofficial symbol of the university, The Old Well. It is tradition that students drink from it on the first day of classes to get good grades. Maybe you could try it and see if it sends good luck to your team? Every great campus has a central courtyard, and UNC’s is called “The Pit.” Just outside of the Student Union, it’s a popular gathering spot for students and also serves as a stage of sorts for performances and speakers. Just a short walk away from “The Pit” is the infamous Morehead-Patterson Bell Tower. This structure has been standing on campus and alerting students that they’re about to be late to class for more than 80 years. There’s plenty of other hubs of intellectual, social and athletic activity on campus. 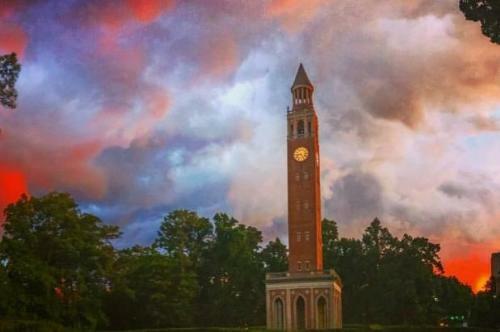 Check out this interactive map for a complete list of all that UNC-Chapel Hill has to offer. Brought the kids with you to the game? You came to the right place, because Chapel Hill and Orange County is extremely family-friendly. There’s plenty of attractions nearby that can help your children learn and play during your free time. 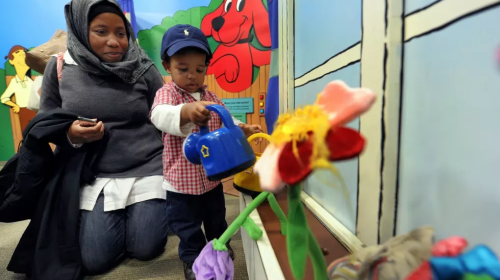 Kidzu Children’s Museum has engaging exhibits that allow kids to build, climb, run and read. The museum covers a full range of topics--including S.T.E.M., art, health and wellness and much more to engage any visitor, from infants to tweens. The Ackland Art Museum is another educational and interactive space that often offers classes for kids of all ages to craft artistic creations of their own. Head over to Hillsborough and take your pick of one of many public parks and greenways that are great to help your kids blow off some steam. We get it, we can’t get enough of the Tar Heels either. If you’re interested in learning more about the long-standing basketball program, visit the Carolina Basketball Museum. Located on the first floor of the Ernie Williamson Athletics Center, this complete collection is free to all visitors. 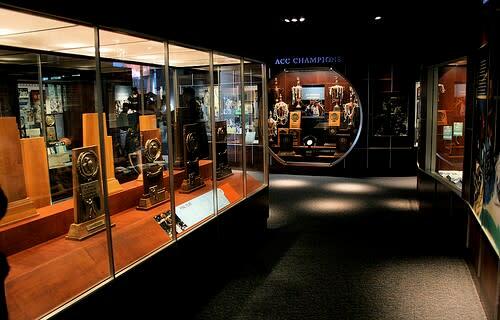 View visuals and artifacts that highlight the program’s long history, championship appearances, and the major players and coaches that have contributed to its success. We promise, you’ll get swept up in the magic of Carolina basketball while you’re here. Soon enough, you’ll also see why people keep coming back for the rest of Chapel Hill and Orange County. To book your hotel for your next trip to Orange County, visit https://www.visitchapelhill.org/hotels/.